Every once in a while, a discussion of the role of animals in our lives makes the news as some difficult decision must be made. The interesting thing about this is that our relationship with animals, though different in different times and places through history, has been established since Biblical times. Several years ago, legislation was introduced to make illegal the use of horses for human consumption. It passed, but the depth of feeling on both sides of the debate was striking. The idea of using companion animals for food is so counterintuitive that I felt compelled to do some research, for although instinct would tell us that this is wrong, the facts to support such a position strengthen our arguments. For the purposes of this article, and with my apologies to lovers of rabbits, hamsters, ferrets, pot-bellied pigs, cockatiels, tarantulas, and every other type of pet, I am going to focus on the three most popular pets—cats, dogs, and horses. Some experts think the cat was first tamed by 3500 B.C. The ancient Egyptians were the first people to keep cats as pets; they also worshipped cats as gods. The goddess Bastet, daughter of the sun god Ra, had a cat’s head. The Egyptians loved and worshipped her, and so loved cats. Deceased cats were mummified and given the same kind of burial as human family members. 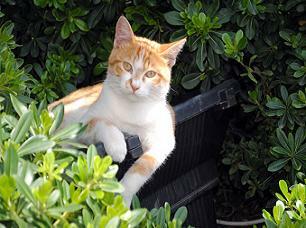 The ancient Romans, in the conquest of Egypt, brought cats home to Europe. After a period of disfavor during the superstitious Middle Ages, cats were restored to hero status. When rats from Asia brought the Black Plague to Europe, people who had kept cats fared better; their cats, according to the nature of cats, killed the rats. Soon cats became protected by law. In Victorian times, cats were a favorite subject of artists and writers, and were considered part of a happy home. Studies have shown that petting a cat lowers a person’s blood pressure, and that elderly people who are enabled to keep their pets live longer. The healing power of cats is being used to advantage in increasingly popular programs in which pets are taken to visit people in nursing homes. A brief history of the domestication of dogs. 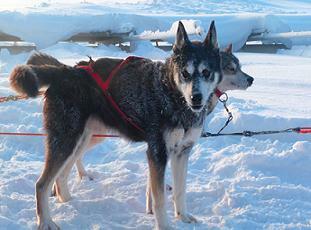 Fossil remains suggest that five distinct types of dogs existed by 4500 B.C. Illustrations of dogs, dating from the Bronze Age, have been found on walls, tombs, and scrolls throughout the Middle East, Europe, and North America. Often the dogs are pictured hunting alongside their human companions. In ancient Egypt, dogs—like cats—were pampered and revered, and only royalty was allowed to own purebred dogs. It is theorized that humans and canines discovered a potential partnership when dogs would scavenge near humans’ campsites, and the humans learned that the dogs offered protection, as well as help in hunting, in exchange for a share in the humans’ food. Through the ages, dogs have been bred and trained to help people with hunting, herding, sporting, and countless types of work—not to mention companionship. More modern is the development of programs to teach dogs to perform an incredible variety of services to humans. While guide dogs for the blind are not a new thing—a blind Germanic king supposedly had one in 100 B.C., and a wall painting in Pompeii depicts a blind man being led by a dog—it was not until after World War I that a systematic school for guide dogs was established. Now we have hearing dogs for the deaf and service dogs who assist disabled people by turning lights on and off, retrieving dropped items, helping them into wheelchairs, and anticipating seizures. As with the nursing home visitors, the animals used in these programs often are rescuees from shelters. Dogs locate people lost in the wilderness and buried in the rubble of wrecked buildings. They sniff cargo for drugs, guns, bombs, and stowaway snakes. There are innumerable stories of dogs who have rescued their people from fire, flood, and human perpetrators of evil. I even read a story in which a dog rescued the family cat from a fire. Lisa J. Lehr is a freelance writer with a specialty in business and marketing communications. She holds a biology degree and has worked in a variety of fields, including the pharmaceutical industry and teaching, and has a particular interest in both animals and Biblical tradition. She is also a graduate of American Writers and Artists Institute (AWAI), America’s leading course on copywriting. Contact Lisa J. Lehr Copywriting www.ljlcopywriting.com, Lisa@ljlcopywriting.com for help with your business writing needs.